Bobby Flay had opened a gang of eponymous burger joints, and the Las Vegas Strip location at the Mandarin Oriental was a recent addition to the chain. The drill at BBP was order at the counter, sit, wait, and eat. I spoke with the manager and got the low down on the ingredients so that Happy Meal and I could order properly and give the Flay burger a fair shake. We ordered the Palace Classic and a side of fries and waited for about 10 minutes. I counted no less than 12 employees, so they were primed for business. The Beef: The beef was Certified Angus Beef sourced from Sysco Foods. The 8-ounce burger patties arrive pre-formed. While the staff was tight lipped about the cuts of beef in the burgers, I guessed that the 80:20 beef was Chuck. The default cooking temperature was Medium, and that was my first clue. The flavor was strongly beefy with no other notes of aging, minerals, or steak....Chuck was a safe bet. The beef was juicy and tender while providing enough resistance to be satisfying. 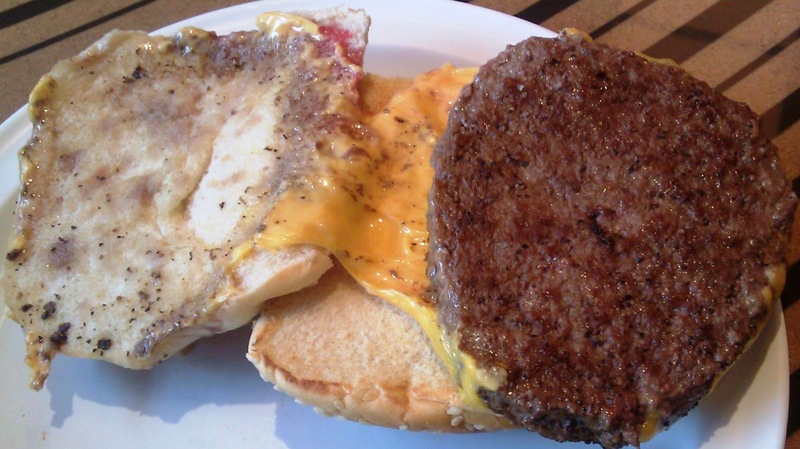 The Seasoning: Salt was strongly evident, and there was a bit of pepper on the exterior of the patty. Salt was the primary seasoning flavor that came through. The Sear: The sear on my burger was close to non-existent. A crisp sear would have gone a long way on at Bobby's Burger Palace. The Preparation: The burger patties were cooked on a too-cool, gas-fired, flat-top griddle. The grind of the beef was medium. The burgers came out a competent Medium. The Cheese: BOOM! The thick slice of American cheese pulled this burger back from the brink of mediocrity. The cheese was rich, well-melted, gooey, savory, and with a strong iron flavor. The Bun: The bun was fresh and moist. It was sourced from Sysco Foods, as well. The bun was neutral in flavor and barely toasted. The bun was simply a means to keep our fingers clean. The Toppings: The Romaine lettuce was fresh and crisp. The tomato slice was rich and ripe. 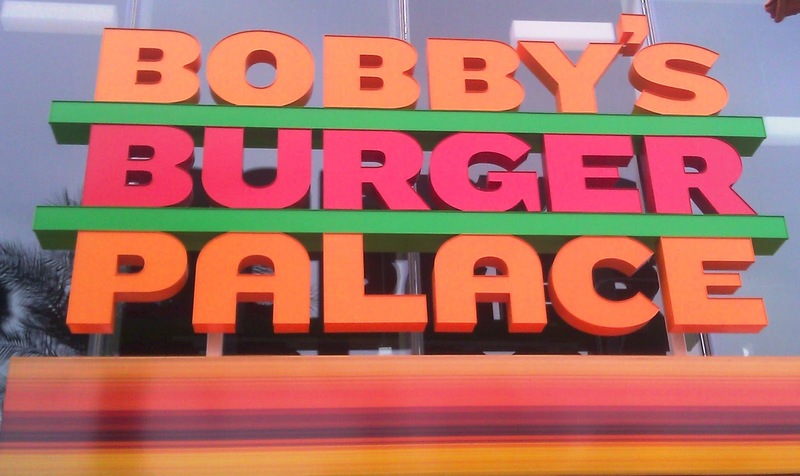 The Fries: The fries at Bobby's Burger Palace were cut in house. The peel-on fries were par-cooked in canola oil and finished in canola oil. The fries were perfectly cooked and really nicely seasoned. The Value: $9.50 for a 1/2 pound burger was a fair price. I would have preferred higher quality ingredients. It was a bit surprising that this establishment was part of the Mandarin Oriental. Burger Review : A better than average burger with convenient access to the Las Vegas Strip.